The best part about growing kale is that you can grow it during the winter, when most other stuff just won't grow. Once established, kale will tolerate below zero temperatures, though the soil needs to be at least 45 degrees F for the seeds to germinate. Kale plants don't take up much space in the garden and they are suitable for growing in containers. 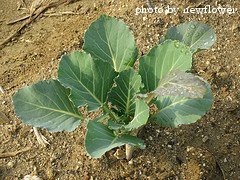 Kale leaves can be harvested as they mature and the plants will keep producing as long as they remain healthy and growing conditions are favorable. To have kale on a regular basis, 3-4 plants per person are usually enough, depending on the size of the variety you choose to grow. However, it's usually a good idea to plant a few extra, just in case some don't reach maturity. It usually takes about 60 days for the first leaves to be ready for harvest, after the seedlings emerge. Kale seeds typically take about a week to germinate if the soil temps are around 60 degrees. They will take a little longer if it's a bit colder. In most cases, kale seeds can be sowed directly in the garden. However, in cold climates, if you want to a spring kale crop, it's best to start the seeds indoors and then transplant when the soil becomes workable. When growing kale, the soil needs to drain well and be slightly acidic. A pH of 6.0 is ideal, although kale plants will grow well in the 5.5-6.8 pH range. Loamy soil conditions are best, but if you amend sandy or clay soils with compost to help manage moisture and nutrient levels, kale will grow just fine. Typically, the plants begin to bolt when temperatures top 80 degrees F and leaves become bitter and tough. Kale tastes better when grown in temps below 60 degrees F, and gets really sweet when temperatures dip below freezing. After harvest, kale usually won't last more than a week in the fridge. It's best if eaten right away, either raw, steamed, sauteed, or roasted. 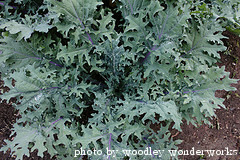 Click on the following links for more information about growing kale.